Fitted to the Australian delivered Ford Ranger & Mazda BT-50 6 speed automatic transmissions is a transmission cooler thermostatic cooler by-pass valve. Located in the passengers side of the transmission housing under the valve body assembly. The Thermostatic Valve blocks the cooler flow until the desired operating temperature is reached. The spring will shrink allowing the sleeve to move up and open up the port to the cooler. Although shift quality is smoother when the transmission fluid is at operating temperature. The 6R80 transmission is known for debris from internal bushings and the torque converter wear which can cause the factory thermostat valve sleeve to stick and block the cooler port. If the sleeve gets jammed the transmission will not flow any fluid through the factory heat exchanger cooling unit. Most warning system will not activate until the transmission fluid temperature reaches above 130c. Blocking the factory by-pass area and giving full time cooler flow. Available now is a unique full time flow valve allowing full time cooler flow and still the availability to have full time lubrication if the cooler becomes blocked or flow restricted. When fitted the average transmission fluid temperature is lowered meaning internal components are lubricated with lower temperature fluid. The fluid will take longer to reach operating temperature but the benefit is a 5c - 7c degree drop in operating temperature. This allows less internal component wear and full time cooler flow allowing for easier fluid level correction. The factory thermostatic valve increases the chance of an incorrect fluid level due to the transmission fluid required to reach operating temperature to allow cooler flow. With the full flow valve fitted checking the fluid level is easier and safer due to the lower temperature reducing the risk of personal injury. Removing the factory heat exchanger and fitting an external transmission oil cooler will now receive full flow allowing for the added cooling efficacy of an air to oil cooler. 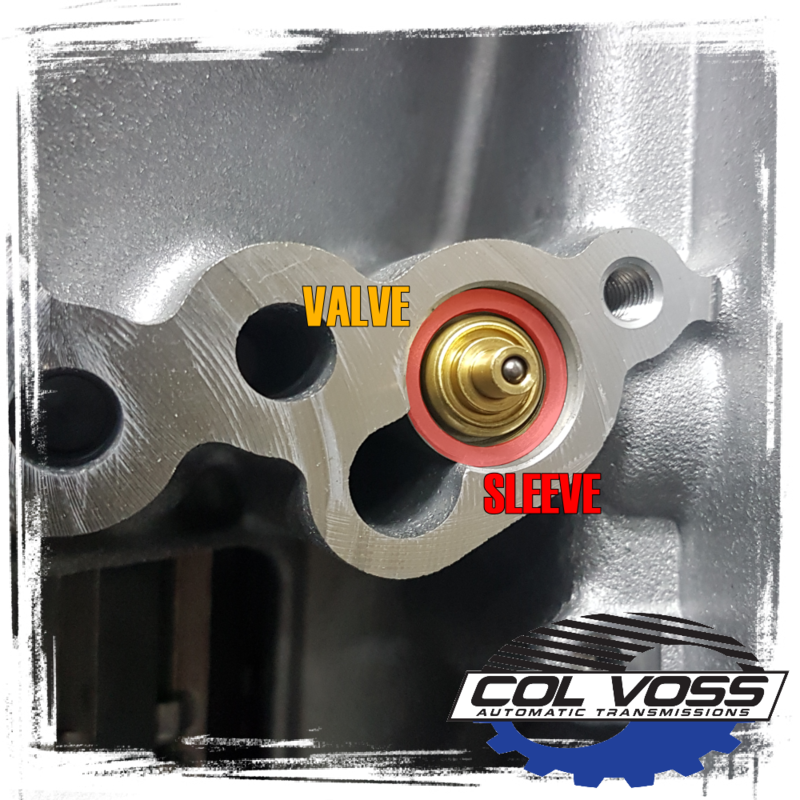 Fitting the valve will require the transmission sump and valve body assembly to be removed which require a new transmission sump gasket, filter, valve body to case plug, valve body top case block & valve body to case tubes. Upgrading to the Billet 6R80 Lock Up Torque Converter before it to late.